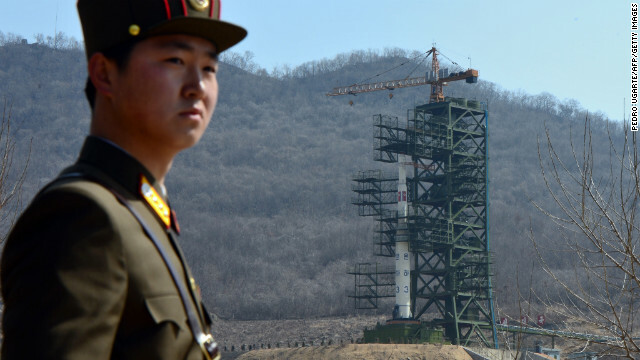 A North Korean soldier stands guard in front of an Unha-3 rocket at the Tangachai-ri Space Center on April 8, 2012. North Korea's intention to carry out a new nuclear test, coming on the heels of December's successful satellite launch, suggests that Pyongyang is moving forward toward developing a nuclear warhead and a deliverable missile system, experts say. The question remains: How close are they? 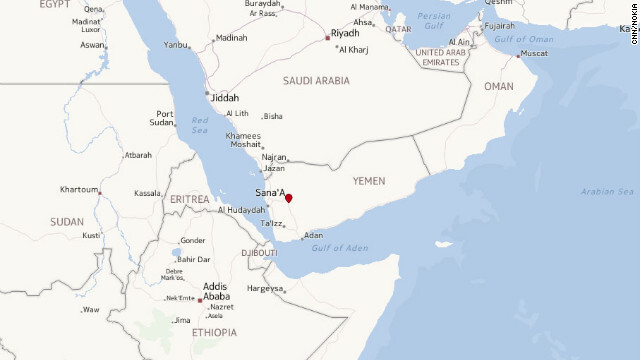 The answer, like the cloistered "hermit kingdom," remains largely a mystery as does much of its nuclear program. "It's a question over the delivery system and the reliability of those systems," said Daniel Pinkston, senior analyst for the International Crisis Group covering Northeast Asia. "That is essentially unknown, or known by a few people inside North Korea." A patriot missile is launched. U.S. troops arrived in Turkey on Friday to man Patriot missile defense batteries near the Syrian border, according to Turkish state media. Syria has previously launched Scud missiles at cities near the Turkish border in a desperate bid to extend its firepower. 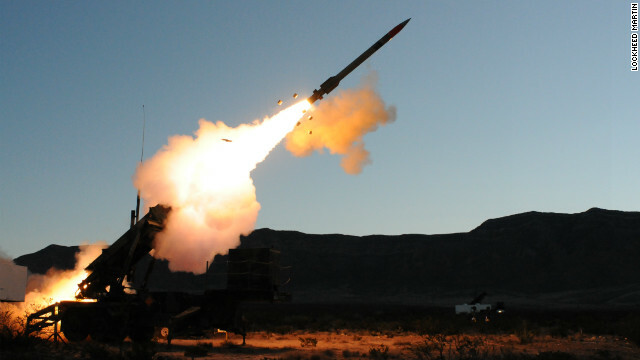 In response, the U.S., Germany and the Netherlands deployed Patriot air defense missiles to the border region to intercept any Syrian ballistic missiles. 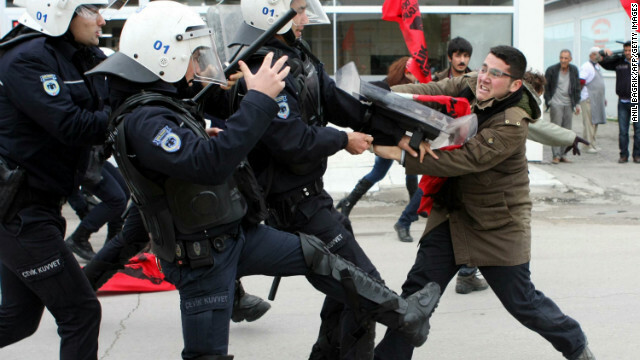 The missiles and troops will be under the overall control of NATO, but the missiles will be operated by U.S. forces. A group of 27 U.S. troops landed in Gaziantep, Turkey, where they will survey the Patriot deployment, according to Turkish state news agency, Anadolu. Defense Secretary Leon Panetta announced that he had signed orders for the Patriot missiles, emphasizing that he was sending a clear message to Syria that NATO will defend Turkey. Syrian rocket and artillery fire have landed in Turkey and Syria has launched short range Scuds close to the Turkish border. The United States is to deploy 400 troops and two Patriot air-defense missile batteries to Turkey in the coming weeks to defend against potential threats from Syria, defense officials said Friday. Defense Secretary Leon Panetta signed the order en route to Turkey, where he is visiting Incirlik Air Base, Pentagon spokesman George Little told reporters. Little declined to give details of where the two batteries would be located, or to specify how long the deployment would last. "The purpose of this deployment is to signal very strongly that the United States, working closely with our NATO allies is going to support the defense of Turkey, especially with potential threats emanating from Syria," he said. 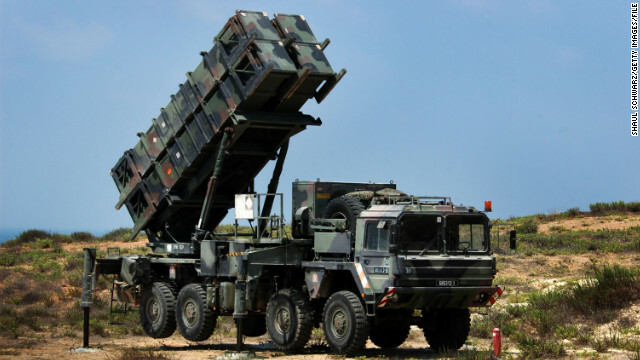 Turkey and NATO insist the Patriot missile deployment would be used only for defense.